The SSE47+1 is equipped with an integrated digital answering machine with slow playback, ensuring you never miss that important call. The XDECT digital cordless phones offer extended digital coverage by utilizing a diversity antenna system for optimal reception and clarity by mitigating multi-path errors. It also features a high gain antenna for greater range and to eliminate drop the areas in your home. 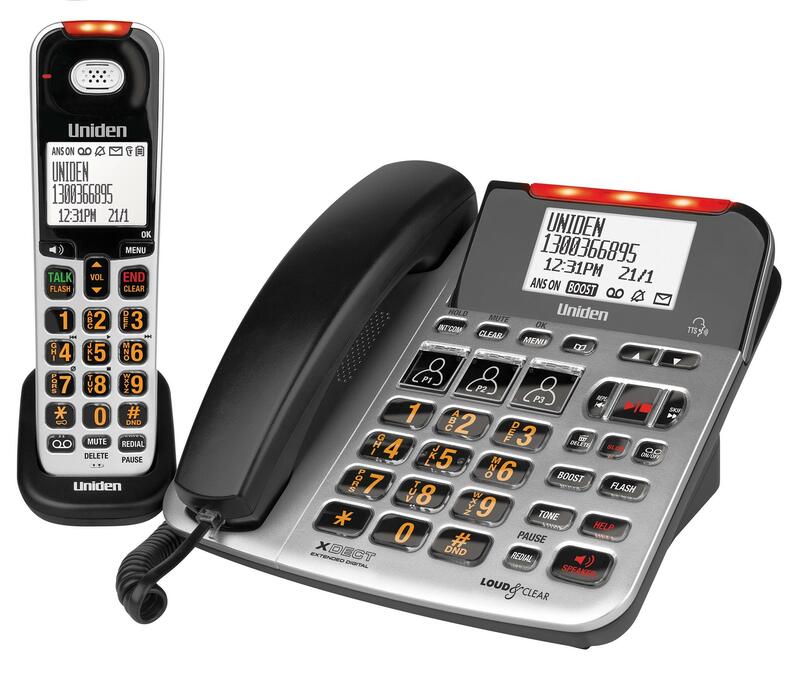 The Uniden SSE47+1 Phone was added to the Phones category in March 2018. The lowest price GetPrice has found for the Uniden SSE47+1 Phone in Australia is $129.00 from Harris Technology. Other merchants who stock it are Harris Technology.